Dims Srinivas provides a nice concise primer/reminder on how to work with the global requirements process as it currently stands and also notes there is a new team being formed to further streamline the process. Some projects in OpenStack are more low-level than others and require the sort of optimisation that can only be achieved in languages other than python. It’s possibly helpful to think of language choice in these terms rather than the specific language itself. Thierry posits that OpenStack dependencies can and should be developed in whatever language best suits the task at hand and so doing is relatively less costly from an OpenStack community standpoint. Chris Dent notes that a similar way to make this distinction is whether the tool is useful and usable outside OpenStack. No new posts with specific Summit wrap-ups in them but as mentioned last week I’ve now pulled together an as concise as I could make it summary of those posts in a blog post here. If there are further updates I’ll edit the post accordingly. Over on the openstack-operators mailing list, Chris Morgan wrote a summary of one of the discussions at the Ops Meetup Team IRC meeting (!) Of note and worth a quick read is the thoughtful definition of ‘users’ for the purposes of working out who should attend Operator Mid-Cycles. In short the preference is for people involved in large scale public and private clouds to attend, more so than vendors of said clouds. However individuals who work for large scale cloud vendors are encouraged to attend if they feel they can contribute, but are asked to wear their user rather than “promotional” hat (I paraphrase this latter). In a related thread on openstack-operators Tom Fifield announces the meeting in question here and provides a neat summary a few days later in this post. The regular IRC meetings will occur every second Tyesday 1400h UTC in the #openstack-operators channel. An email from Edgar Magana prompted the ever efficient Shamail Tahir to give a quick summary of where this process is up to. I defer to Shamail’s email for the details but the desire to have a way to recognise contributors to OpenStack that don’t quite fit the Active Technical Contributor (ATC) definition has led to defining an Active User Contributor (AUC). This process is ongoing but will provide a defined way of identifying folk that fit this mold and so their contribution to OpenStack more generally. This edition of Lwood brought to you by Nick Menza and OHM (Soultone Cymbals 10th Anniversary show, with condolences to Nick’s family, friends and fans), Robert Plant (Now and Zen), Rush (A Show of Hands) amongst other tunes. In the three editions of Lwood since the Austin Summit I provided a summary of mailing list posts where the writer had provided a summary of particular Design Summit Project sessions. Discovery in OpenStack – discussion about how to get better “discoverability” into OpenStack – discovering capabilities, defaults, configurations etc. etc. Note that many of the per project summaries mentioned above that went to the OpenStack-dev mailing list link to the relevant Etherpad(s) too. Busiest week on the list since I started doing Lwood back at the end of June 2015. Mike Perez provides an update on the future of Cross Project (IRC) meetings. Now that some momentum has been built the meetings will move to a little bit more of a self service model. In particular Mike will no longer be announcing if the meetings are -not- occurring – instead folk interested in fixing a particular cross-project issue or feature should introduce a meeting following the process Mike outlines. The expectation is that most CP meetings will now bring together a subset of projects rather than all of them. Doug Hellmann points out that a recently made change to the script that generates automated release announcements means that the subject line will now include “[new]” in place of the “[release]” tag. 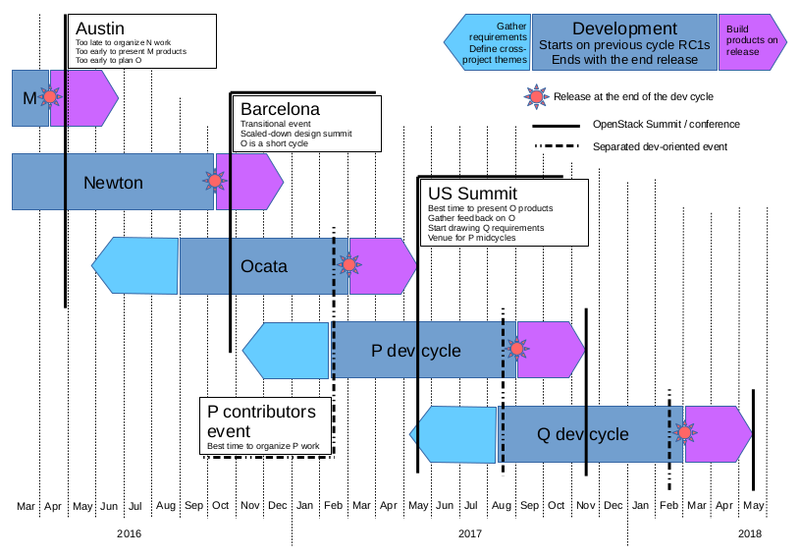 No summary of OpenStack related goings on would be complete without noting a lengthy thread that kicked off a few weeks back and at the time of writing is still going. The early part of the thread started here – a note from John Dickinson about the Swift team’s plans to code portions of Swift in the Go language (mentioned in last week’s Lwood). At Thierry Carrez suggestion the process was commenced of seeking Technical Council approval to add Go to the list of supported languages for OpenStack. That thread is up 141 messages and counting and has been, ahem, spirited in places. Most of the discussion has been around the core question – using Go to code up parts of OpenStack as distinct from where a Go based API should be made available for OpenStack. That latter seems to have firmly converged on No/Not Relevant. The applicability/appropriateness of using Go (or other additional languages) at the core of OpenStack has been the predominant topic as well as (best I can tell) some pretty useful discussion about why Go is thought necessary (versus Python, coding critical sections in C or some such) etc. While not quite as much traffic as last week, a healthy amount of post-Summit summary discourse on the list last week. Since the summaries have already spanned three weeks worth of I’m pulling together a consolidated list which will go out later this week – you’ll be able to find it linked from here. This edition of Lwood brought to you by Santana (Sacred Fire), Thin Lizzy (Johnny The Fox), Tommy Emmanuel (The Journey), Baby Animals (Early Warning, One Word), The Bottom 40 (Covering Happy by Pharrell Williams), Joe Walsh (Live From Daryl’s House: Funk 49-50 and Rocky Mountain Way) amongst other tunes. No surprises – the week of the Austin Summit saw a significant drop in both the number of Messages and Threads on the list. Thierry Carrez described the main change as “Split and Stagger” and provided a diagram that broadly illustrates the intent. The Summit itself will retain the more end user/commercial sort of focus that has driven much of the schedule of the event and attracted the numerical majority of attendees in recent years. So that the valuable work of end user to developer collaboration can continue at the Summit, specific Forums will be held to gather requirements, feedback, come up with priorities and the like. It is these Forums where contributor/project teams will have some representation – PTLs and/or individual developers. The exact nature of these Forums is being discussed. The Summit Schedule and location will pretty much continue as it has been to date – North America then Europe/Asia, April-ish and October-ish. The proposal then calls for Project Team Gatherings (PTGs) which will provide an opportunity for Project team(s) to get together and get work done. These will be a “distributed” version of the design summit in so far as the co-location of projects will be a bit more ad-hoc. Timing for the PTGs is expected to be the end of February and the end of August with the first two events probably being held in locations in North America to bootstrap things and establish baseline costs. Thereafter the intent seems to be to follow a North America then rest of the world style split much like the Summit. Within the PTG events themselves, the schedule will be somewhat loose – when projects are co-located all-hands style lunches will be the main schedule synchronisation point. Teams are free to organise their own social events, possibly with a single major get together for the event when multiple projects are co-located. While the final details are still being determined, it looks likely that participation in a PTG event will permit discounted or free attendance to the Summit, somewhat analogous to the arrangement for current ATCs. The big news for the week past was of course the Summit in Austin. A well attended and well run event, I count myself fortunate to have been able to attend courtesy of my employer, Rackspace. Other than co-presenting the session “And Now For Our Regularly Scheduled OpenStack Roadmap Update!” alongside my Product Working Group colleagues Carol Barrett and Nate Ziemann, I mostly stuck to the Design Summit sessions. Summarising even this subset of the event would be an all but impossible task, but a few things that caught my attention. Want to test your code on a real 1,000 node cluster – for free ? Masayuki Igawa notes that the rather neat looking openstack-health project would welcome feedback on their initial release of this Visualisation tool for CI results. None noted this past week, apologies if there were and I missed them!